There is a significant portion of the U.S. population that is affected by hoarding whether they are hoarders themselves or live with a family member that struggles with hoarding issues. The effects of hoarding can have dire consequences on the health and safety of those that hoard as well as their families as a collection of hoarded items can grow large enough to restrict access through a home and harbor mold or bacteria growth which can lead to negative health reactions. ServiceMaster of Albuquerque and West Mesa provides hoarding cleaning services to help people with hoarding issues in Rio Rancho, NM fully clean and restore their homes. We are properly trained and equipped to handle extreme cases of hoarding and we work to establish mutual feelings of trust and respect with the affected individual and include them in the cleaning process. Hoarding is classified as a mental disorder that is a symptom of deeper anxiety issues. The main behavior associated with hoarding stems from anxiety as those affected cannot throw anything away, resulting in a growing collection of hoarded items that can block off parts of the home, increase the chance of a fire, and seriously threaten the health of those in the home. 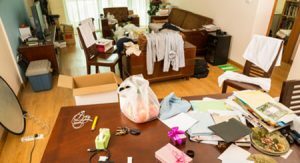 It is important for a close friend or family member to take notice of the situation and intervene because hoarders rarely reach out for help themselves out of embarrassment. Someone they know and trust must help convince them of the seriousness of the situation so the cleaning process can begin. At ServiceMaster of Albuquerque and West Mesa, we have been properly trained to provide effective hoarding cleaning services using the most advanced cleaning equipment and products of the industry. We also work with the affected individual to build a relationship based on trust and respect so that they can be involved in the project. 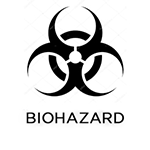 We let the individual have the ultimate decision over whether an object should be kept, thrown away, donated, or recycled and we will remove any unwanted items and debris, including biohazard materials. Once the unwanted hoarded items are removed, we will help rearrange what is left and then fully clean and sanitize the home to restore safe living conditions. Decontamination: Once the unwanted hoarded items are removed, we thoroughly clean and sanitize the home. Deodorization: Our powerful deodorizers can remove any strong, lingering odors. Proper Disposal: We can properly dispose of all unwanted items as well as any biohazard materials at a licensed facility. Hoarding should never be taken lightly because the behaviors of hoarding create dangerous conditions that could be harmful to those affected and their families. The technicians of ServiceMaster of Albuquerque and West Mesa understand the sensitivity of the situation and we gain the trust and respect of the affected individual and put them in control of the cleaning process. You can call us anytime at (505) 814-1411 for more information about our hoarding cleaning services in Rio Rancho, NM.